As a person who loves sweet treats, I really love honey! Because Honey has lots of goodness for our body. Honey is also good for our skin. It can moisten and soften our dry skin. But I don’t like the stickiness every time I apply it directly to my skin =D. 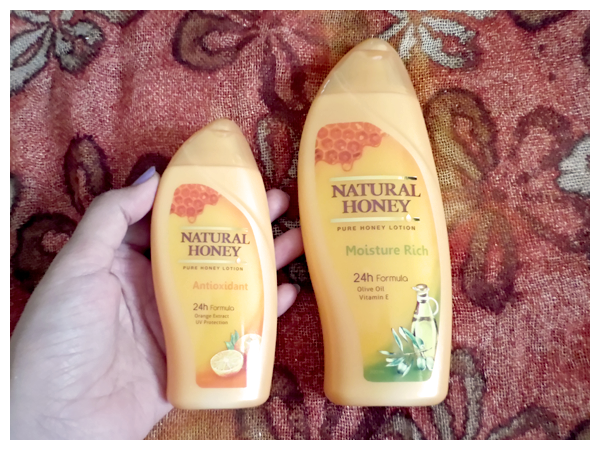 That’s why I’m so happy when receiving these products, Natural Honey Pure Honey Lotion. Natural Honey is intended for women who believe that beauty comes from a simple thing; being herself and radiating beauty from within. With a special formula that is inspired from Pure Honey derived from high quality natural sources, combined with the latest technology which can maintain its purity, which is believed to provide natural moisture that can brighten our skin. 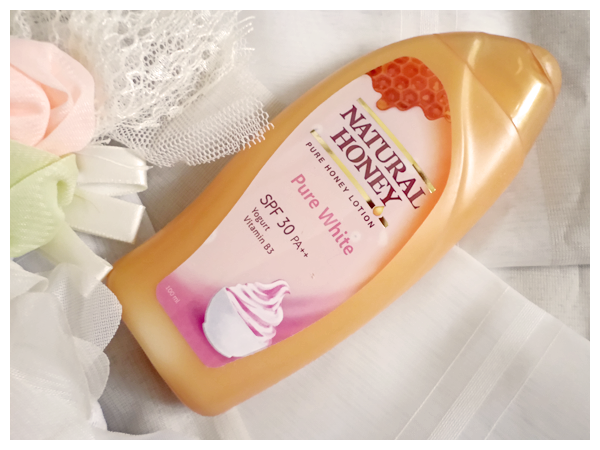 Natural Honey makes a woman look elegant, confident, attractive and comfortable in any situation. 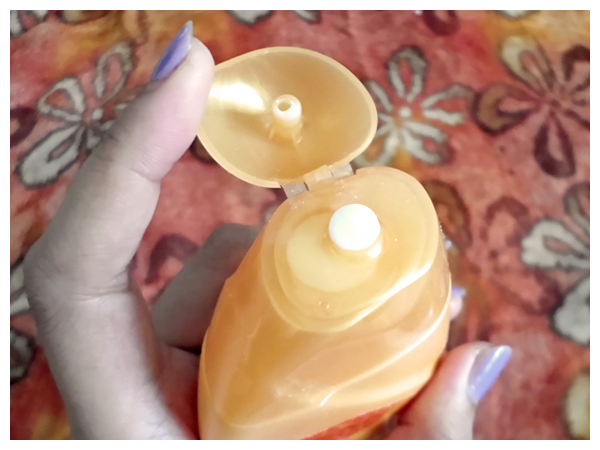 The bottle comes in a curvy shape, using glossy high quality plastic material. The color looks like real honey, yellowish gold, in a simple and classy design. The information is so clear and easy to read. It consists of two sizes, 100ml and 200ml. The 100ml bottle is so handy and travel friendly. The texture is rich and quite creamy. It doesn’t fall quickly if we place it upside down. There are four Variants; Natural Honey Anti Oxidant, Natural Honey Moisture Rich, Natural Honey Pure White and Natural Honey Firm and Youthful. Outdoor activities requires us to be exposed by direct sunlight and bad environmental conditions such as dust, air pollution, fumes, etc. This Natural Honey Antioxidant can protect our skin from those problem. It moisten our skin very well. Contains Pure Honey which serves to maintain softness and skin health, Orange Extract and Vitamin C which act as antioxidants. The formula can is quickly absorbed and not sticky. Apply to entire hands and body after taking a shower to keep our skin always soft, healthy and protected from bad environmental conditions. Sometimes we don’t realize that hot air, being in the air-conditioned rooms in a long time, stress or unhealthy lifestyle can affect the health of the skin, such as rough and dry skin surface, cracked at the elbow and heel area. 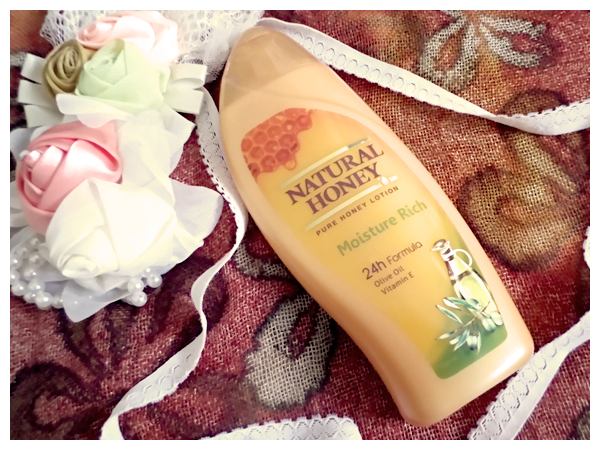 This Natural Honey Moisture Rich is very rich in natural nutrients to care our skin. Contains Pure Honey which serves to maintain softness and skin health, Olive Oil and Vitamin E which can soften and refresh the dry skin. The formula is quickly absorbed and not sticky. Apply to entire hands and body after taking a shower to keep our skin always healthy, fresh, and luminous. Unhealthy skin conditions often make our skin look dull. To keep skin healthy, avoid direct exposure to sunlight. 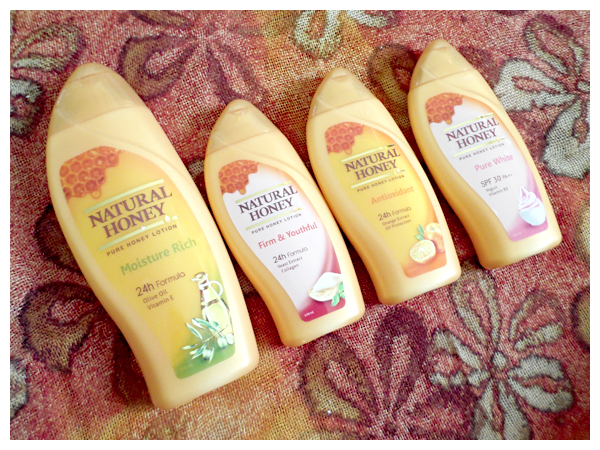 Protect and take care of our skin with Natural Honey Whitening rich with natural protection. Contains Pure Honey to maintain softness and skin health and Yogurt which is rich with natural nutrition for skin. Vitamin E, B3, and its Double UV Protection capable of inhibiting the formation of melamine, so our skin becomes more white and protected from the harmful effects of UV A and UV B sun. The formula is quickly absorbed and not sticky. Apply to entire hands and body after taking a shower, so our skin looks white and protected. 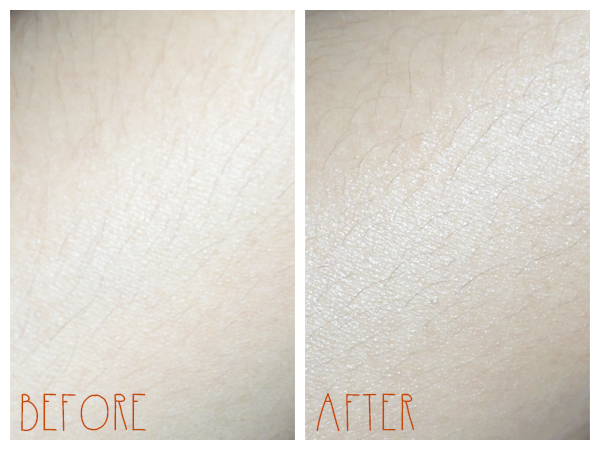 This variant works intensively to tighten the skin, so it looks younger. With Yeast extract as a skin conditioner to maintain skin’s smoothness, Vitamin C which is useful to help formation of collagen, making the skin firm and more white and Pure Honey which helps health care and tenderness of the skin. 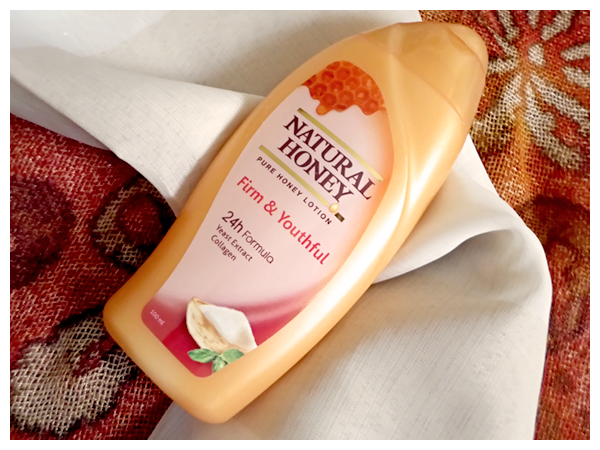 Natural Honey Firm & Youthful formula is quickly absorbed and not sticky. Apply to entire hands and body after taking a shower on daily basis to maintain the firmness of the skin, so we will look younger and beautiful. 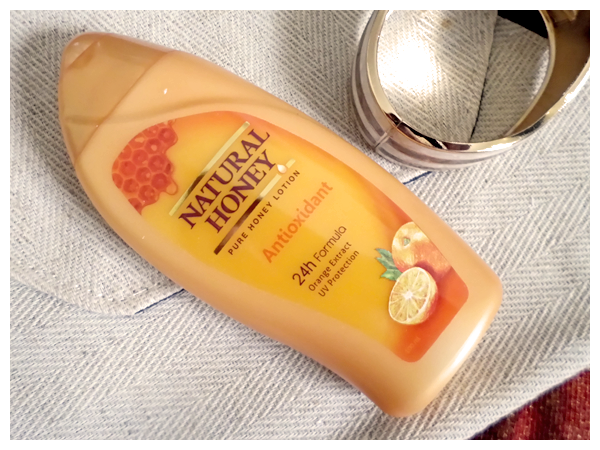 Overall, I like this product, especially Natural Honey Moisture Rich, because my skin is very dry. 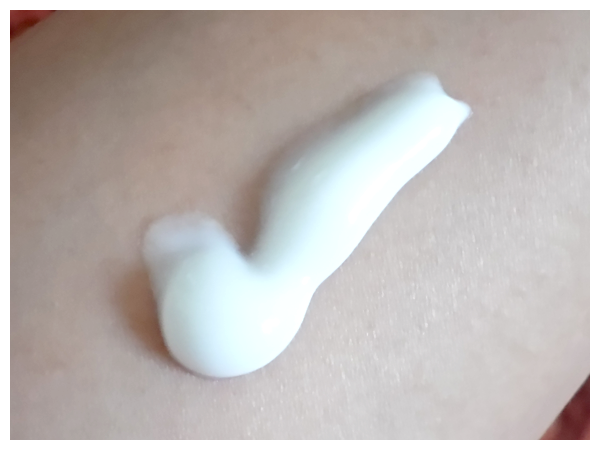 The lotion absorbs so quickly into the skin, so it won’t left any sticky effect. All of them also has a nice relaxing scent, just like its natural ingredients. For more information, visit Natural Honey website and facebook page. Okay.. that’s all my review!! 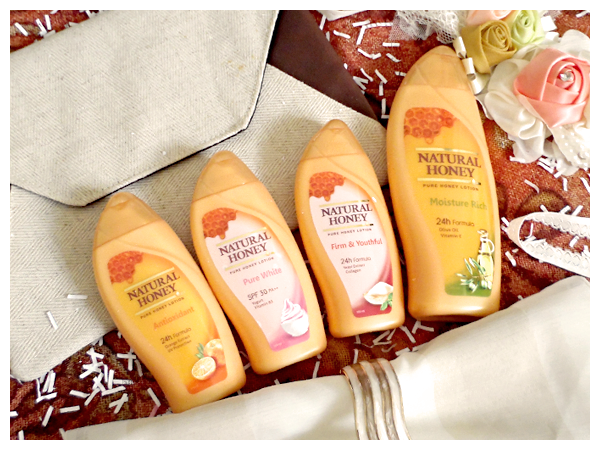 This product review is the collaboration of Natural Honey and BBlog Indonesia.